Volkswagen’s are very popular here in the United States and for good reason. Leaving no wonder as to why their slogan is “The People’s Car.” Not only are they affordable and dependable they are a blast to drive. Some people think that imports should only be worked on by dealerships, but this simply is not true. Sure, you can get taken advantage of by a dealership. Pay top dollar for repairs and get less than stellar service. So why would you when you can get great personalized Volkswagen repair service for less than an arm and a leg with better customer service and satisfaction right here at Dave’s Ultimate Automotive. Our technicians are all ASE certified and are continuously trained and updated on all makes and models that VW has to offer. We have all the latest diagnostic equipment and tools to diagnose and repair your vehicle. 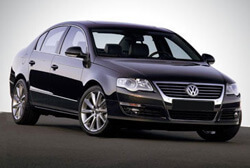 We also have access to Volkswagen specific parts, so no need to wait longer than you should, just for a part. We care about your car as much as you do, and we will get you and/or your family back on the road safely in no time. Vehicle maintenance is important and directly related to the longevity of your vehicle. Dave’s want to help you avoid costly repairs by maintaining your car the way it should be. Not only will we fix your car the right way the first time. We will also include a free safety check with every service you receive by checking your vehicle’s alignment, brakes, tires, air conditioning, and check engine light to further your safety and help keep your mind at ease. If you are currently in the market to buy a pre owned VW, bring it to Dave’s. We will perform a thorough inspection of the vehicle before purchase to help ensure you are making a well informed decision based on the quality and condition the VW is in. We’ll help you decide if the car is a gem or a lemon. We believe in our techs and their ability to fix and maintain your VW so much that we are able to offer a lifetime guarantee on all Volkswagen repair services. You are not just another number at Dave’s Ultimate Automotive and we strive to give excellent customer service and repairs. Your VW was built to specific European standards and requires professional and experienced technicians to work on them. So, look no further and give us a call with any questions you may have or schedule an appointment online. We are here to help with any and all VW issues that may arise.